measurement of the specific resistance of a sludge in a 0.5 bar vacuum. This test is typically used to estimate a filter filtration capacity for industrial vacuum applications. It can also be used to establish the optimum amount of reagents that are required for belt filtration, however in this case allowance should be made for the compressibility factor. 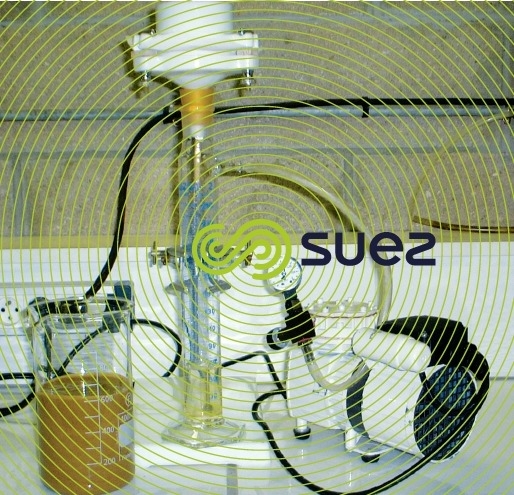 Photo 7 displays the test apparatus required (removable büchner, filtering medium consisting of a rapid filter paper). Fill the büchner with sludge (pretreated), 100 to 150 mL of sludge is usually sufficient to produce an 8-10 mm thick filter cake. Create the vacuum to quickly reach the level required, i.e. 1.5 bar, ensuring that this level remains constant throughout the test. As soon as the vacuum has been created, start the stop- watch and record the volume of filtrate collected. Substract this initial volume V0 at time t = 0 from later volumes recorded. Log the volumes of filtrate collected during the test for various filtration times: every 10, 15, 20, 30 or 60 seconds depending on the filtrate flow rate. Pursue the filtration until the cake is drained (loss of vacuum caused by the cake cracking up). Filtrate volumes V0 – V1 – V2 – V3…, for times T0 – T1 – T2 – T3…, are recorded. r: in m · kg–1. Note: C, dry solids content at 105°C divided by the volume of sludge, is an approximation of W (mass of suspended solids deposited per unit of volume of filtrate). 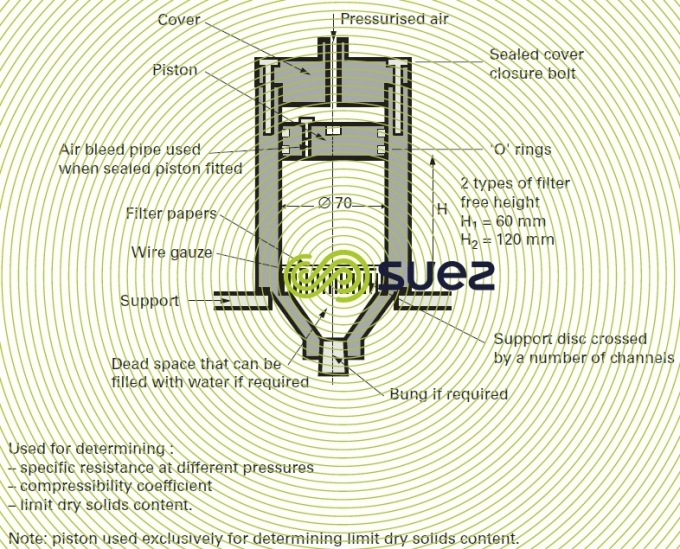 A pressure cell (figure 20) is used to determine the specific filtration resistance, the compressibility coefficient and the limit dry weight of filtration cakes. The principle described in § 6.6.1. also applies to this method. allow to rest for 15 seconds before applying pressure to form a precoat on the filter. start the stopwatch and record filtrate volume V according to time. The rate at which readings are collected depends on the filtrate flow rate. Please refer to (filtrability test) for information on calculating the resistance. Measure the filtration specific resistance r for different pressures P and plot the curve log r = f (log P). Check the linearity. The slope is equal to the compressibility coefficient. The same apparatus as for the preceding test is used. and 1 323 kPa (or maximum pressure tolerated by laboratory equipment). 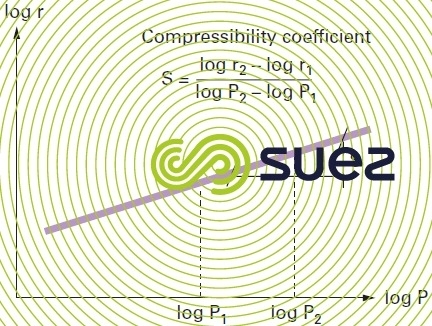 The compressibility coefficient is a non-dimensional number.